Wellesley College, one of the original Seven Sisters colleges, is regarded as one of the most beautiful college campuses in the nation. Architects Day & Klauder and Ralph Adams Cram can be partially thanked for this designation, as they designed two of the most well-known structures on campus, Founders and Green Halls. 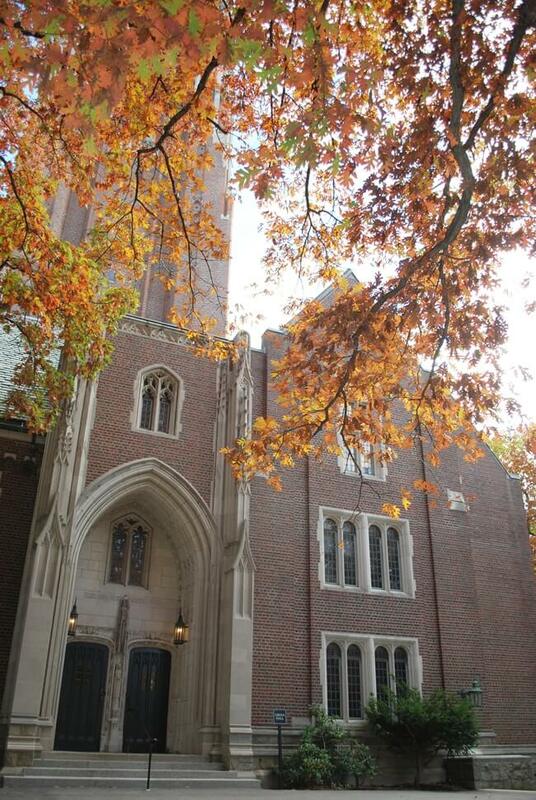 Built in 1921, Green Hall stands as an excellent example of Collegiate Gothic-style architecture, widely popular at that time. Initiated in 2013, both Founders and Green Halls started to undergo a 4-year renovation with aims to modernize these buildings while maintaining their historic character. Two sets of doors from the west, Academic Quad-facing façade, were part of this project. Rich Muckle was invited to the college in July of 2015 to examine the doors and make recommendations for restoration. 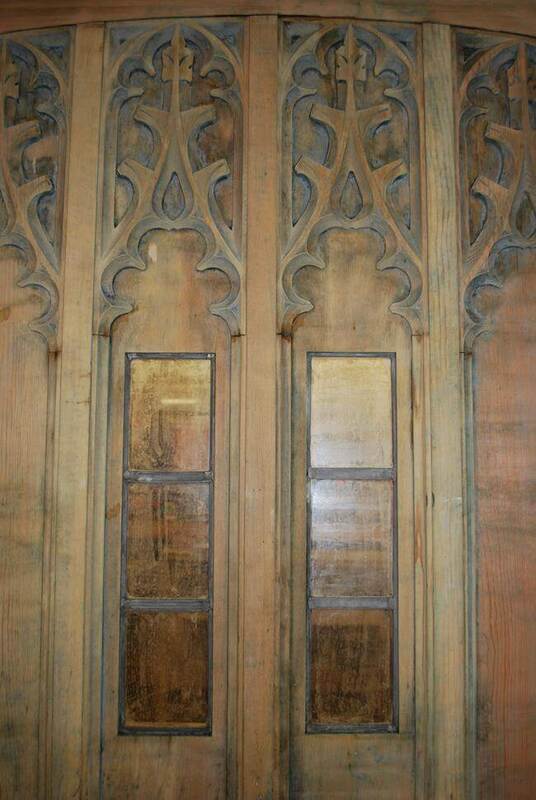 Given their condition, Rich recommended removal of the four doors, stripping of existing paint, Dutchmen and wood epoxy repairs as determined after stripping, hardware refurbishment, stabilization of leaded glass, and repainting—all of which would restore the doors to proper working order while preserving as much of their existing historic fabric as possible. Due to use, a number of the screws used to fasten the door handle in place had their custom heads knocked off. 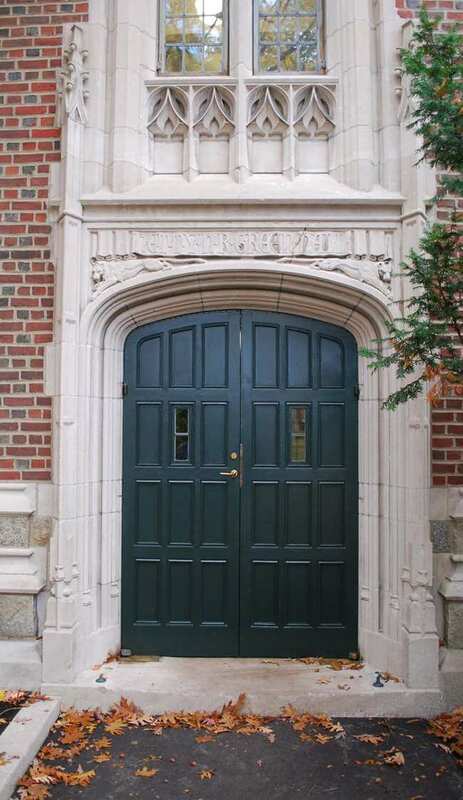 Although small, these elements greatly contribute to the architectural style of Green Hall, and add significant historic character to these iconic doors. After removing the existing hardware for refurbishment, M&A transported a sample of one of these Gothic tracery inspired screw heads to a metal specialist, where exact replicas were fabricated. These custom replacement screw heads were chemically treated at M&A’s shop to achieve the same patina as the existing historic screw heads. 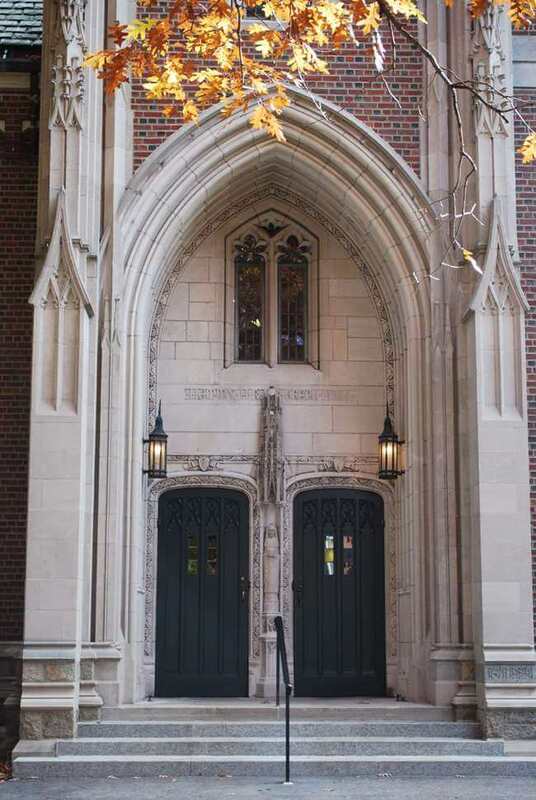 The doors were reinstalled in October of 2015, and immediately, students and staff began commenting on the restored doors—their ease of use, their refreshed look, and their contribution to the historic campus as a whole.